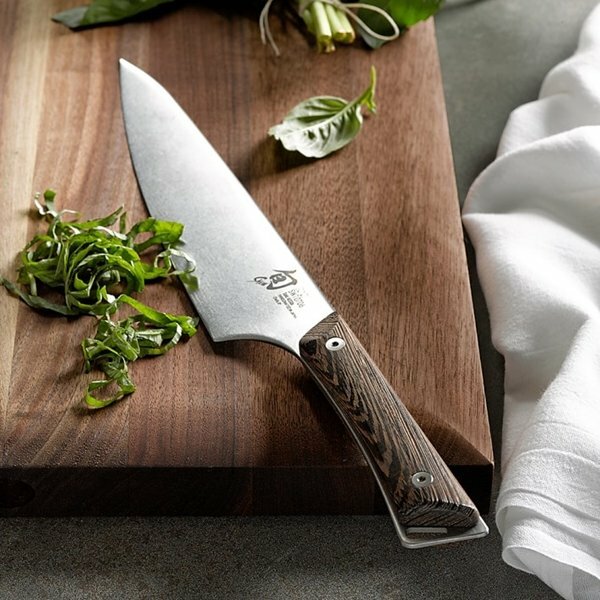 Knives are one of the basic, yet most important tools of the kitchen. 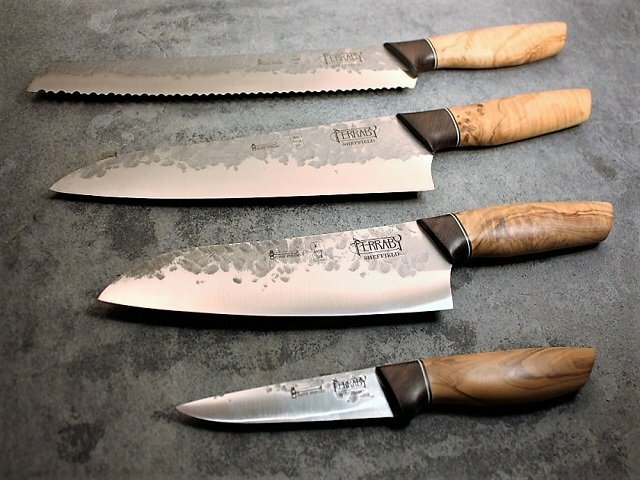 There are so many types of kitchen knives and uses, that we often find it difficult to decide which is the most suitable for us. 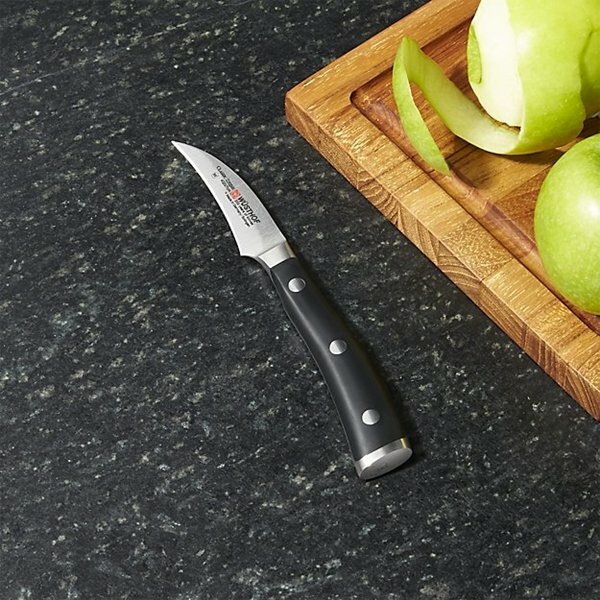 A good quality knife definitely increases kitchen productivity as well as improves our culinary skills. However, there’s a proper way to use each knife but do most of you know the difference between a chef’s knife and a paring knife? 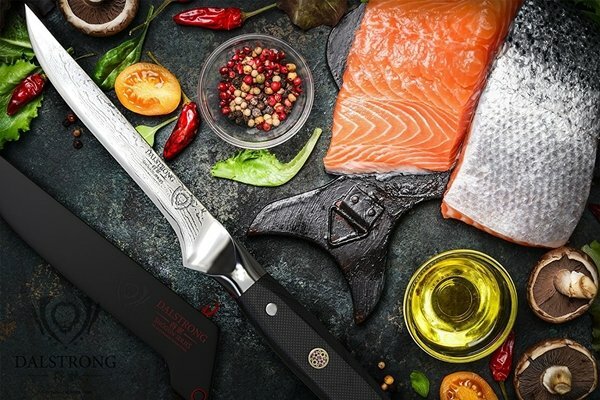 It’s ok to not know; because I am going to share here with you a simple guide to different types of knives and their uses with pictures. 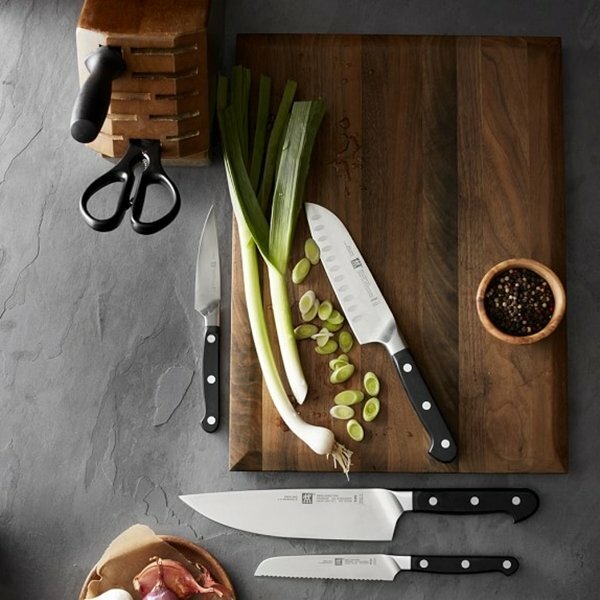 It may take some months to learn to slice and dice, chop and carve like a pro but my guide would actually get you started with the basic – selecting your knife. 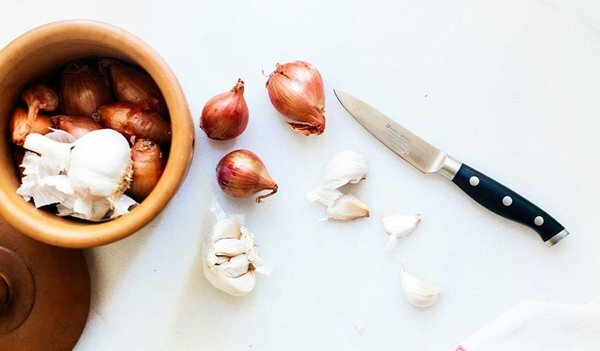 Did you know there are 4 key knives that must be in every cook’s kitchen? These big four friends let you to perform any kind of veggie and fruit cutting technique. A chef’s knife is a multipurpose and most common kitchen tool that effortlessly dices vegetables and cuts meats. 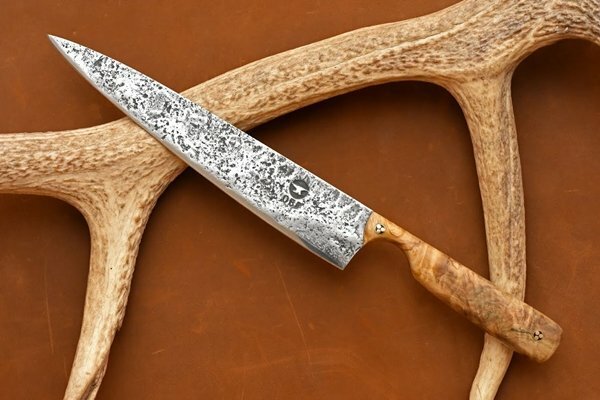 The Chef’s Knife blade is 6 to 14 inches long and 1 ½ inches broad. They have a pronounced curve near the tip and have a handle that easily fits in your clasp. 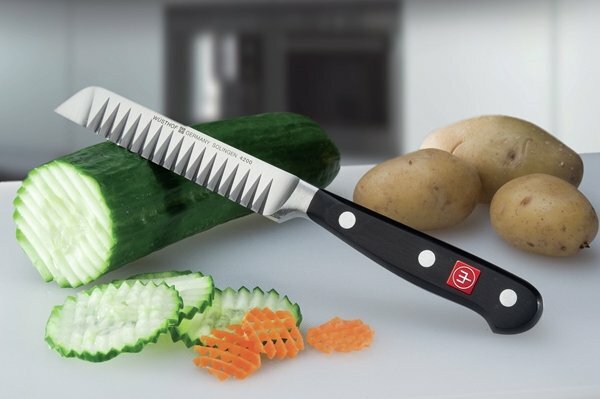 Every chef recommends this knife for quick chopping and slicing food. This knife looks similar to a bread knife but a shorter and sharper version. 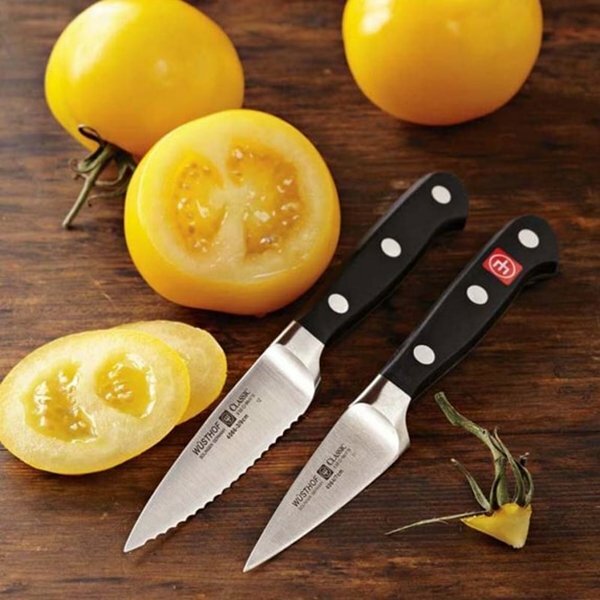 Serrated Utility Knives are usually 4 to 7 inches long and are used to cut through delicate vegetables and fruits without slashing them. 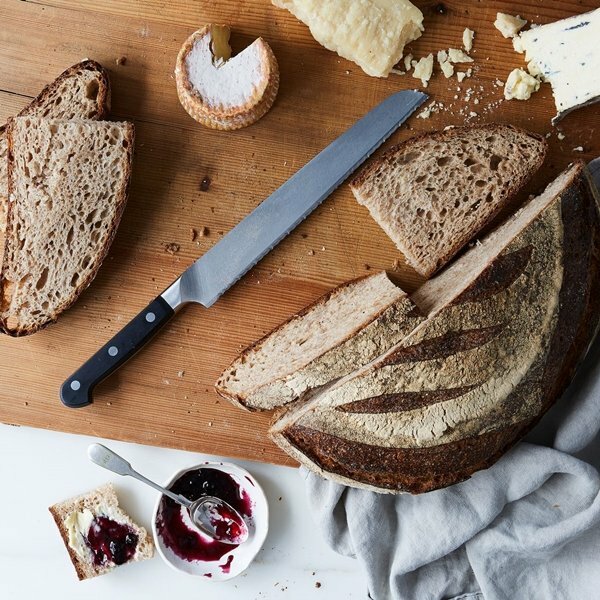 This knife is also referred to as ‘Sandwich knife’ or ‘Tomato Knife’ and could be used for small slicing jobs such as fixing sandwiches and cutting bagels as well. 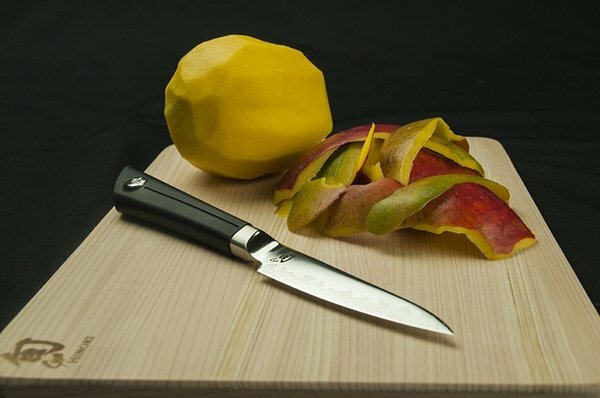 The Paring Knife is typically used for carrying out intricate works such as peeling food, deveining shrimps, and creating food carving and garnishes such as juliennes. Paring Knife is simple, straightforward and sharp bladed that is short in size, typically between 2 ½ inches and 4 inches and the edge looks similar to that of a chef’s knife. The Boning Knife is designed to separate bones from meat seamlessly. They come in two varieties – ‘Firm’ and ‘Flexible’. However, both the versions are thin, somewhat flexible and curved blades, sized between 5 to 7 inches in length. The firmer knife is used to debone beefs while the flexible blade suits better to cut chickens. There’s a ‘Fillet Knife’ too that’s preferred for delicate fishes. A Cleaver Knife is what we call the Villain’s Knife in movie language. You can easily spot it in multiple horror movies. They have thick rectangular blades that narrow down to sharp edges. 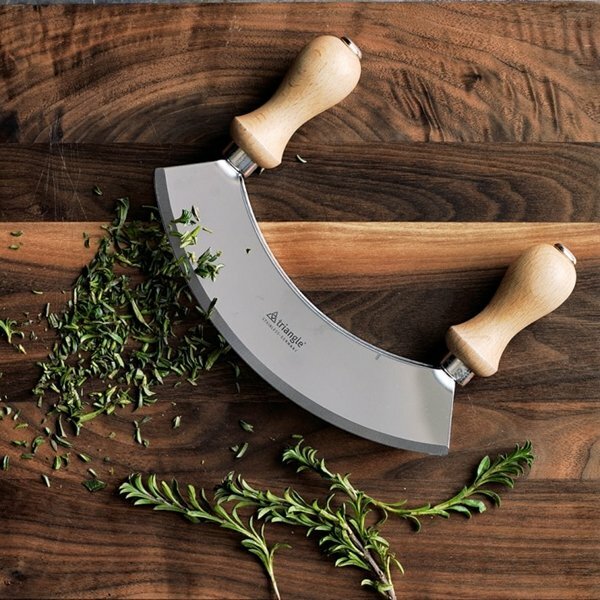 While Cleaver is must in restaurants which cleave large quantity of meats and bone, it essentially is not required in home kitchens. It is a longer and larger version of Serrated Utility Knife. They are only used to cut clean through bread loaves without crumbling them. They have offset handles that keep your knuckles away from the bread. It is a longer and thinner version of a Chef’s Knife and has a lengthy and sharp edge that is used to thinly slice thicker meats or large food items such as roasts. 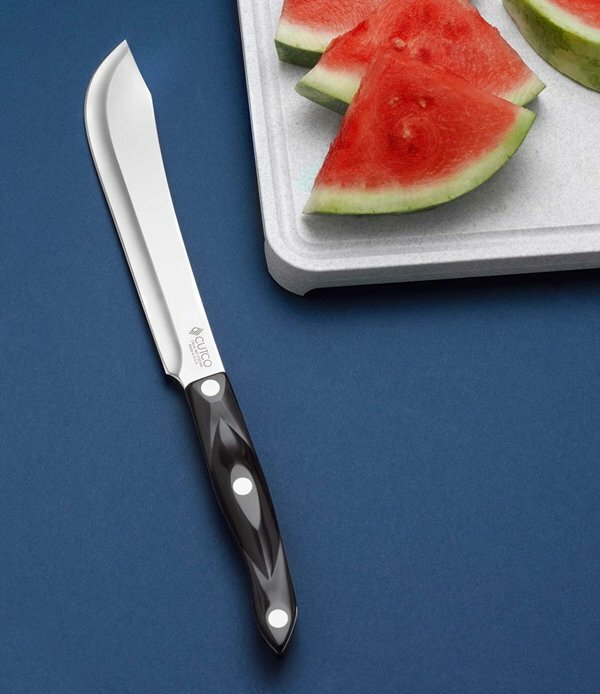 This Knife has a wide belly and clip points that lets us to segment, slice and trim large fruits such as watermelons, papaya, pineapple and pumpkin. It is a slightly shorter but sharp-angled version of Paring Knife, sized between 2 to 4 inches and is used for peeling veggies delicately, and for carving and decorating food. The Mincing Knife looks strange and slightly evil, though it has no such intentions. It does not have one handle like normal knives, but has two instead, to hold from the top and finely mince meat, veggies and herbs, by rocking it to and fro like a pendulum. 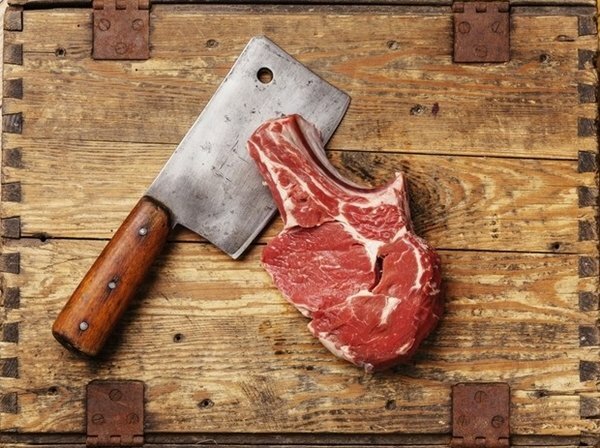 Trimming Knives are only 3 inches long yet perform a number of small tasks such as removing meat from bone from small areas and create garnishes. 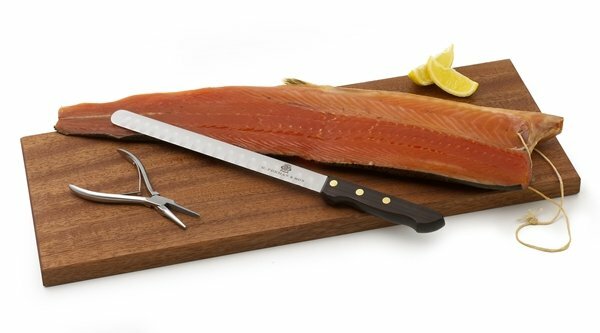 Salmon Knives are very elegant and slender looking knives that have thin, sharp and flexible blades, particularly used to peel off the pale skin from fresh salmon. It is also used for making delicate fillets and for sushi slicing. They may be sold as Fillet Knives. Resembles a Paring Knife, the peeling knife has a downward curved blade, “tourne” which is used to remove spots and blotches from food, and make specific cuts on root vegetables. 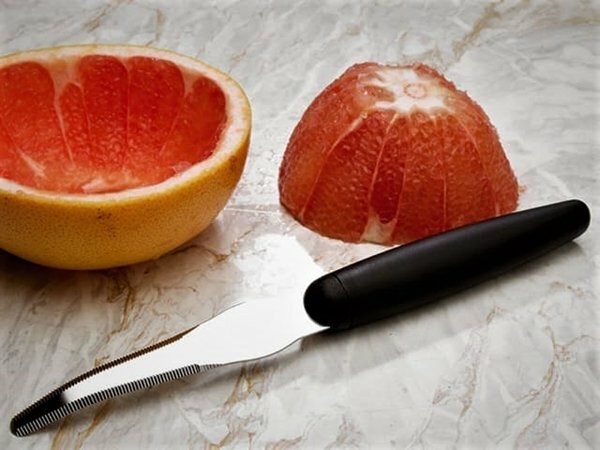 It is long knife with dull blades which is used to separate the fruit portion from the peel and pith of a grapefruit. It also has fancier, double blade versions for peeling and for removing inner membranes. Do Read: Warning! 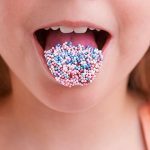 Are You Reheating These Foods That Could Kill You? 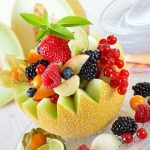 It is designed to make decorative patterns on fruits and vegetables and the most common ones have simple zig-zag blades. Well, they are designed to slice cheese, as the name implies. 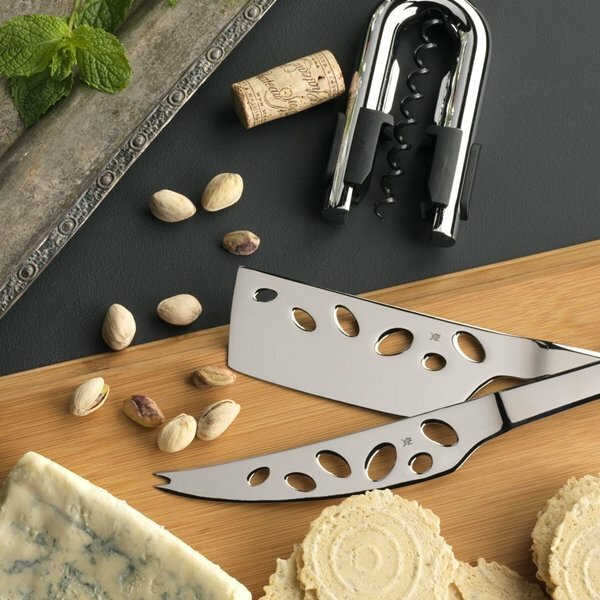 They come with perforated holes which keeps the cheese from sticking to the knives. The sharper ones are used for hard cheese. Now this is not exactly a knife but it does look like one. It is blunt and is usually found with forks and spoons. 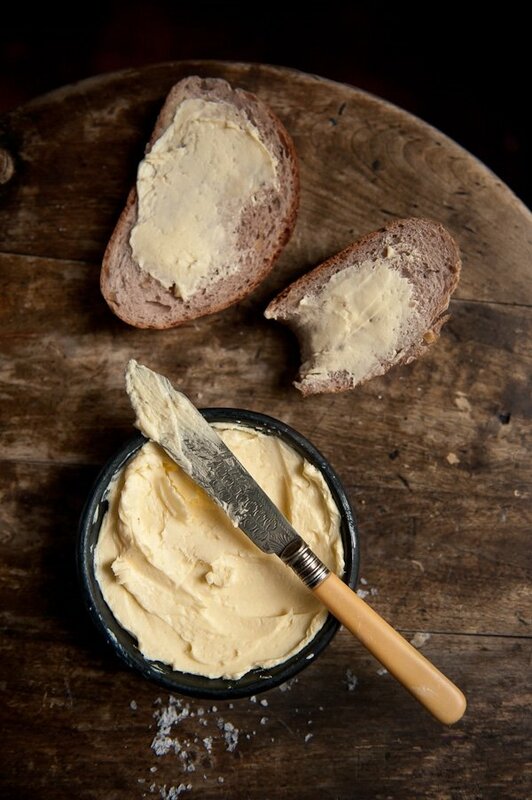 It is used to spread, well, butter, jams and other spreads on food and breads. That’s all you folks; these are the types of kitchen knives and uses that are widely recommended in a multi-functional commercial kitchen. However, they may vary in size, quality and look in different brands. Remember that quality is must and hence a stainless steel blade with a sturdy handle should be preferable. 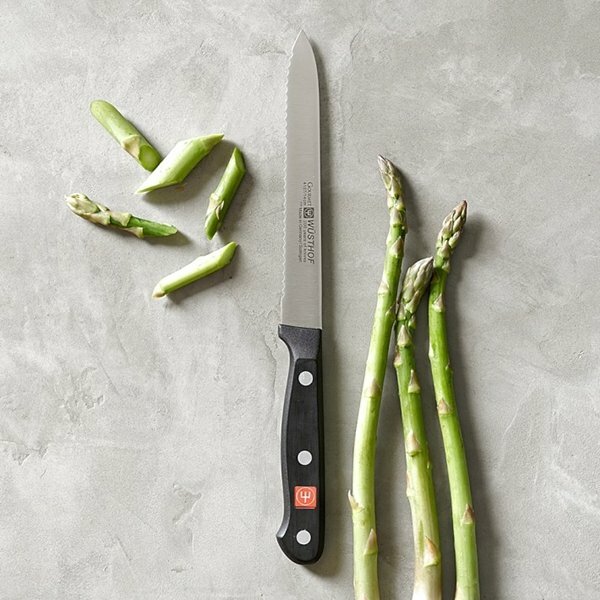 There are specialist chef knives available that are particularly suited to chopping vegetables, meat, fishes, herbs and small fruits; although bigger fruits such as watermelons, pineapple require bigger knives for safety purposes. You can use chef knife undoubtedly to your restaurant and house..